Midwestern Gothic staffer Kristina Perkins talks with author Rae Meadows about her novel I Will Send Rain, researching agricultural life in the 1930s, working on a mixed-media project and more. Rae Meadows: My parents are from Chicago and I grew up in a suburb of Cleveland. As an adult I lived in Madison and Minneapolis. The Midwest will always feel like home to me — the big seasons, the landscapes, the cultural traits that I connect to the region. I love to be called a Midwestern writer, despite living in Brooklyn, NY. I think of myself that way. KP: You chose to set your newest novel, I Will Send Rain, in the fictional town of Mulehead, Oklahoma during the height of the 1930s Dust Bowl. While most consider Oklahoma outside the purview of the Midwest, do you see any relationship between life in Mulehead and traditional Midwestern values? RM: Most definitely. The characters in the book are hard-working, laconic, humble. They are people who do instead of talk about it. I associate those traits with a Midwestern sensibility. Although the Oklahoma Panhandle is a pretty stark and lonely terrain, there is a rootedness to the people who live there that I was attracted to, a trait I might also ascribe to traditional Midwestern culture. I think farm life is something that I have been drawn to as a writer all along, and the iconic nature of the family farm is something that spans the two regions. KP: In a recent interview with WNYC, you mention that you’re able to write better about a place if you don’t live there. For you, what about this distance lends itself to good writing? RM: I find that I have to recreate a place in my imagination, even a real place that I have known, to have it work for me as a fictional setting. This was especially true for Salt Lake City in my first novel. It became an almost mythical place for me after I had moved away. For I Will Send Rain, although I did a lot of research about the Panhandle in the 1930s, I chose to visit the town I fictionalized only after finishing the novel. I think I have a fear of being hemmed in by the actual details of a place, not being able to separate the minutiae from telling details. KP: What draws you to genre of historical fiction? What is the most difficult part of the research process? What do you find most rewarding? RM: A fear of writing about technology! I think that the immediacy of our world can take away drama in a fictional world. But I also like delving into the past. It’s just fun. I love the research. For this book I read everything I could, including letters written by a woman living on a Dust Bowl farm, farm equipment manuals, Oklahoma state history, and first-hand accounts of life in the Panhandle. But for me by far the most important thing was time spent in the Library of Congress archive of Farm Securities Administration photographs. There are 165,000 photographs documenting agricultural life and its fallout during the thirties. I looked at these photos for hours at a time, particularly the ones of women and children. Probably the most difficult part of research for me is knowing when to stop, and then knowing what to leave out to make a period seem authentic without it feeling like a staged set. KP: You’ve discussed how you were surprised to learn that the Dust Bowl was largely a manmade phenomenon — a result of over-farming in a region subject to drought and high wind speeds. How has writing about the interpersonal ramifications of environmental tragedy influenced your understanding of current environmental concerns — if at all? RM: I think people trying to get by and in so doing harming the environment is a complicated interplay, one not easily solved. (Asking industrializing third-world countries to cut their emissions comes to mind.) Writing this book made that more apparent to me than ever. Even if the Dust Bowl farmers understood how they were wrecking the land, what were they supposed to do? It’s not like they could just go out and get a different job. But on the other hand, humans can be stubborn and forgetful and short-sighted. Even now, the Panhandle, which will always have intermittent, serious drought, relies on a heavily depleted aquifer to irrigate its farms. I wish that in writing this book I came to some new understanding, but I think it was more an illumination of how incredibly difficult it is to get people to change behavior. KP: I Will Send Rain navigates the grim setting of the Dust Bowl through the experiences of the Bell family. When conceiving your plot and characters, how do you find balance — in the form of hope, love, or growth — within a landscape of such overwhelming despair and tension? RM: This is such a big one for me. I tend to be a dark writer, but I would never want what I write to be bleak. It is essential to me in writing human stories that they don’t come across as hopeless. Take a character like McGuiness, a minor character, who is not by any definition a good guy. I loved writing him because of the glimpses of his humanity that came through. He is not villainous, despite his capacity for doing bad deeds. I believe in allowing for the possibility of hope, love, and growth even if they are not fully realized within the novel. I think the end of I Will Send Rain shows this possibility. If I were to graph it, it would show an uptick. I believe in a window left open. KP: You’ve spoken about the influence of Dorothea Lange’s famous Dust Bowl photographs in inspiring and grounding your work. As a writer, what are the advantages of having access to visual representations of a given landscape? What, to you, is the relationship between narrative writing and photojournalism? RM: I love Lange’s photographs precisely for their narrative quality, for their lack of clinical or artistic distance. They allowed me into the Dust Bowl in a different, more visceral way than just reading about it. I think I learned from Lange about showing despair without pity, being unafraid to look at what others were refusing to acknowledge, capturing quiet dignity amidst ruin. One of the reasons I chose not to go to the Panhandle during the writing of the book was because I wanted to use the feeling of those historical images. After the book was done, I visited the Panhandle with photographer Christina Paige. It was a transformative experience to collaborate on a photo essay — to give a fuller expression of what we wanted to communicate about the people who live in Boise City, the town I fictionalized as Mulehead. Both photographs and narrative writing tell stories, but there’s immediacy to images, and more in-depth analysis allowed in words. I would love to have the opportunity to do a joint project across media again. RM: This is not one thing but these all relate to a lack of confidence: no one has it figured out; no one cares if you write or not so you better write for yourself; trust your gut; it’s not a race; the day your book comes out is the same as the day before; when you finish a book you have to start again and write another one. RM: After spending time in the Oklahoma Panhandle, it became apparent to me that I wasn’t quite finished with it as a setting. I’m working on a novel that takes place in the 21st century, in Mulehead, with Birdie returning as an old woman. Although it will be modern, it’ll flashback to Birdie’s life in the years after the end of I Will Send Rain. 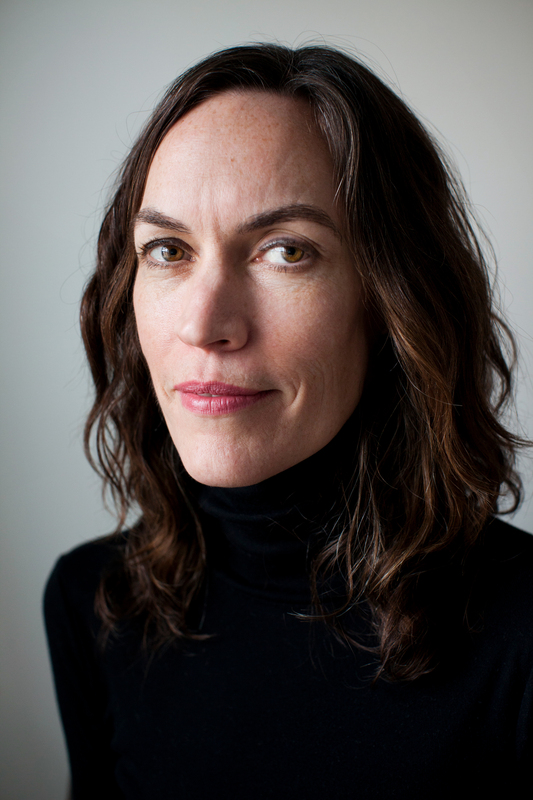 Rae Meadows is the author of Calling Out, which received the 2006 Utah Book Award for fiction; No One Tells Everything, a Poets & Writers Notable Novel; and Mercy Train, which was translated into multiple languages. 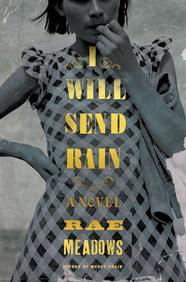 I Will Send Rain received starred reviews from Publisher’s Weekly, Booklist, and Library Journal. She lives with her family in Brooklyn, NY.